Last week, the first game of the UAAP Finals 2018 brought together students and alumni of the University of the Philippines and Ateneo de Manila for what is now called "The Battle of Katipunan." This historical game has been a much-awaited event as it has been 32 years since UP has been part of the UAAP Finals. Although Ateneo had won in the first game, this did not diminish the fighting spirit in students and alumni of UP. 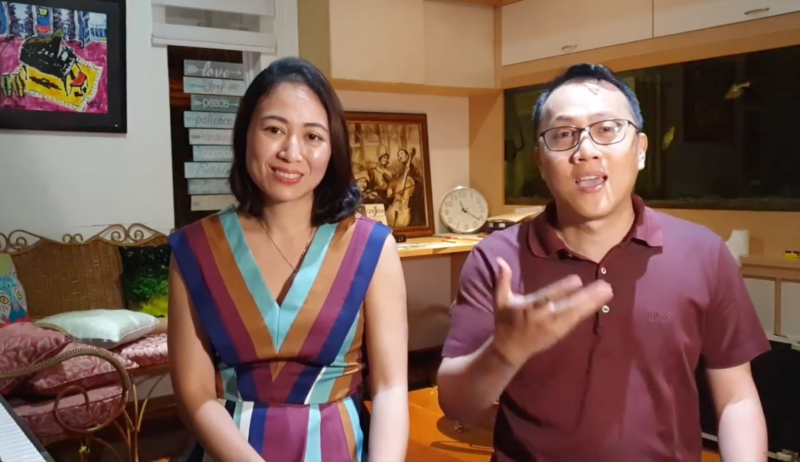 This inspired UP alumni Jehremiah Asis and Katherine Fernandez Asis to write a now viral anthem dedicated to their fellow supporters, where they took Gary Granada's "Nang Matalo ang Ginebra" and put their own spin to fit the ongoing finals series. Right before they launch into song, Jehremiah states "Sa aming mga kaibigang Atenista, we love you! And to God be the Glory!" (Lyrics ni Jehri Asis, UP Law 98, UP Econ 94; Tugtog ni Katherine Fernandez-Asis, UP Music 01. Ating isagaw: Game Two Atin To! The finals game also inspired Raymund Marasigan's collaboration with rapper BLKD for their one-minute anthem titled "Atin 'To!" which is a nod to UP's hopeful claim for victory. As the hours close in on Game 2, this song came just in time! Good luck to UP and Ateneo! What did you think of their song? Comment below! Boyz II Men excited to perform with Divas and visit Davao!